Most hospitals continue to derive analysis based on MIS report. Nirajan Ramakrishnan CIO, Sir Ganga Ram Hospital. The group has collaborated with a Mumbai-based data analytics company, Exponentia Data Labs, and chose the Qlik BI platform to do the ETL and render the output through various channels such as automated MIS, mobility apps and within the Qlik tool itself. The use of data analytics, which started with looking at the cost and profit and loss angle of the business for Wockhardt, would be expanded to other areas in the coming months. Similarly, Delhi’s Sir Ganga Ram Hospital (SGRH) has bundled BI and BAS tools with HIS to deliver a business analytical solution with near real-time synchronisation. It uses BA solution Deepsee from Intersystem which is on the same platform as the HIS Trakcare which is on CACHE. This real time integration and reporting was made easy for the hospital to consider and adopt it. SGRH is using data analytics mainly for finance and business-related decisions. Healthcare organisations have started investing in BI, automation and data management specifically in infrastructure, integrated siloed data sets,etc. Adds Ramendra Shukla, COO and director, Exponentia Data Labs, “Over the last couple of years, healthcare organisations have started investing in BI, automation and data management specifically in infrastructure, integrating siloed data sets, etc. Analytics is now being used for performance monitoring, driving operational efficiencies and reducing costs in the system.” Some healthcare organisations have started using advanced analytics for their operational planning, geo analytics and customer profiling for campaigns. According to Dr Shibaji Chattopadhyay, zonal director with AOI and visiting faculty on data analytics at IIM, Kolkata, “The most core and important issue in the usage of data analytics is not the analytical aspect, but the data capture and data flow, as relevant data at correct time capture is the most important aspect of data analytics.” He laments that as India lacks a central healthcare repository, one can’t analyse the sector data and trends. Data analytics has helped the group understand the real cost structure of its services. “Data analytics has provided us a sustainable method to monitor and understand the details along with being able to do proper apples to apples comparison between units. This has helped us identify areas where we do good as well as areas of improvements and concerns, At the end of the day, it becomes an important decision making tool for the management both at the helm of affairs and also those managing operations,” says Singh. Initially, the group incubated, modified and rolled out data analytics at one of its units and post its successful implementation, it was relatively an easy path in both implementation and training at the other centres. “Our initial foray was looking at the cost and profit and loss angle of the business. Now we are in concept stage to look at the clinical data, so that we can have a more customised communication and interaction with our existing patient base. Now not only we will provide relevant health tips and how to manage their health, but also improve awareness of our services to them which would result in more footfalls to the hospital. This will be a win-win for both the patient and our hospital,” says Singh. Experts say even as Machine Learning (main form of AI today) has been around since the 50s, it had very little adoption until around a decade ago. The change happened because machine-learning models evolved significantly in the last two decades and computing power became cheap and accessible via clould services. This enabled significant progress in areas like image processing, voice to text, Natural Language Processing, etc which was not possible before. “Given that most of healthcare data is unstructured (aka text, images), drastic improvement in these technologies can now enable solutions that were impractical before. Given these developments, the past few years have seen multiple vendors approaching hospitals to implement AI-driven solution to improve various aspects of care delivery, from better diagnostics to tools that help develop treatment plans and so on,” says Aravind. Business development: “Slicing and dicing of data helps us understand the markets and patient needs and behaviour. It aids to understand the geographical distribution of patients (neighbourhood, districts, outside state, international), the payor mechanisms (self paying, insurance, govt schemes, etc), patient affordability (selection of room categories), competitor analysis, pricing of services in a particular market and comparison across markets, tracking marketing activity and others,” says Nilesh. Finance: It helps in spending pattern and treasury management. “Although data analytics helps in the understanding of expenditure behaviour, its core importance lies in financial/ revenue projections,” says Dr Shibaji. Materials: From procurement to movement of materials into the system to understanding consumption pattern of a particular service or process, data analytics is crucial in the supply chain module. Efficient procurement and use of materials helps an organisation keep costs under control and also passes on cost benefits to the patients. Clinical decisions: Clinical Decision Support Systems (CDSS) which are based on Big Data is picking up in healthcare. Unlike many software products that are essentially just data repositories and workflow managers, data analytics can enable a doctor to create a better outcome for the patient. “Traditionally, most medical principles have been based on observations from a few hundred to a thousand people. The advent of digitisation, abundant computing power and new age machine learning models, will enable the formulation of principles from observations from millions of people, creating the foundation for personalised medicine,” says Aravind. Analytics will increasingly be used for patient wellness. “Patients can be tracked as to their lifestyle choices and provide information on ways a patient can modify lifestyle to improve wellness,” says Nilesh. Operations: Data analytics helps in processes such patient registration, billing and discharge. It can help the operations teams understand where the hospital truly excels in and where it needs to work on to achieve high-cost efficiencies, say experts. HR: Data analytics helps is used in HR for hiring, tracking of employee satisfaction scores and continual tracking of staffing ratios to workload analysis. “It helps us to understand the manpower trend pertaining to employee behaviour and also lays the path for the salary grid based on inputs from the sector,” says Dr Shibaji. For instance, market analysis showed that based on geography, around 35% of the patient were trooping in from the immediate neighbourhood. “This area was being covered by one marketing executive. Post analysis, two executives were added to the team to cover this area. This has resulted in an increase in percentage of business coming from the neighbourhood by about 10%,” says Nilesh. AOI found that it needed to strengthen its services in the areas of the mother and child care and the med/ surgical GI programme. Addressing the issue led to spike in of revenue as well as occupancy. Additionally, AOI was able to reduce discharge time by about 30%-40% by studying the flow process and analysing data at different stations involved in the discharge process. Also, based on analysis of receivables outstanding against each debtor as well as reimbursement rates, AOI reduced its exposure to a few debtors. This helped AOI improve its working capital management and improved margins. AOI has also used data analytics for patient acquisition. The Indian healthcare sector has been lagging behind industries such as retail and banking when it comes to adoption of data analytics. “Healthcare organisations in developed countries have been using analytics for quite some time. Most of these organisations are high up on the analytics maturity curve with wider and deeper adoption of analytics in clinical decision making, process optimisation, diagnostics apart from other areas. However, Indian organisations will be able to leapfrog the technology curve and can have faster adoption of analytics,” says Shukla. The industry is expected to see a lot of personalisation and patient centric analytics. The reasons for tardy adoptions are firstly most of the data that is present in healthcare entities are unstructured and non standard (incomplete of non exist codification). Such data is not easily analysable by the current BI tools. Also, the quantum of data is mammoth but the quality of data is poor. Secondly, data is needed from multiple sources in order to solve most of the complex problems in healthcare. “Many good HIS uses open source or custom build BI tools which has integration issues, thus data compilation is a challenge,” says Niranjan. While it’s believed that data analytics is all system driven, the biggest challenge is data capture which happens in a Data Capture Point or POC (point of contact). “Here the first human interface happens and any error occurring here will have a very different outcome on the analysis,” says Dr Shibaji. Also, the flow of data from one POC to other and then between different modules of HIS is often hampered. Thirdly, there is budgetary constraint as hospitals have a meagre budget for IT budget. Fourthly, there is also an assumption that data analytics would interfere physician’s decision making. However, with the progress of both AI, cloud computing, cheap sensors, these limitations are invalidated, enabling creation of applications that deliver value. The industry is expected to see personalisation and patient-centric analytics in the healthcare sector. 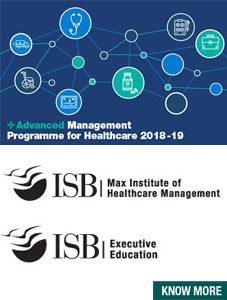 “With more granular understanding of patient needs and related services, we expect organisations to drive innovation on the healthcare packages and operational excellence,” says Shukla. According to Niranjan, to realise the full potential of data analytics, hospitals need to have a full fledged team of data analysts. And analytics adoption is driven by several factors such as industry maturity, competitive pressures, demanding customers, wider technology adoption, skill availability and the prevalent ecosystem. 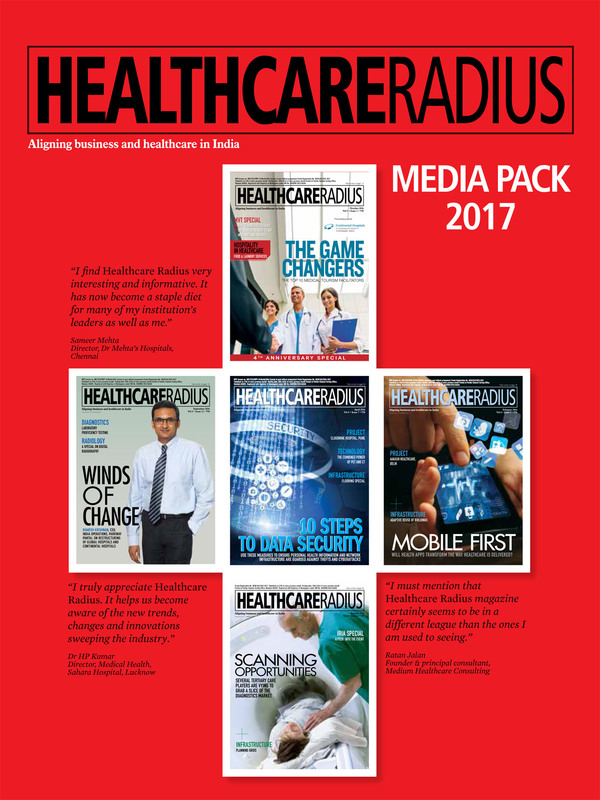 “Positive trends in the Indian healthcare industry with respect to professionalisation, growing insurance needs, higher investment in technology will result in higher analytics adoption going forward,” says Shukla.